Most people equate Thanksgiving with the pilgrims and Plymouth Rock (Plimoth Plantation). Although the first Thanksgiving in 1621 was a mild celebration between Native Americans and English settlers, it would not become a national observance for nearly 200 years. The nation honored Thanksgiving by closing stores, holding parades, and sending Thanksgiving greeting cards. Although Thanksgiving was a national observance, it wasn’t designated as a true American holiday until 1939, when President Franklin D. Roosevelt moved it up a week to spike holiday retail sales during the Great Depression. Many opposed this move, so in 1941, President Roosevelt signed a bill making Thanksgiving the fourth Thursday in November, and it has been observed on that day ever since. The true essence of Thanksgiving isn’t Black Friday or football or the Macy’s Thanksgiving Day Parade (which I love, don’t get me wrong) or even turkey. It is to give thanks for all the blessings we have, and for being a part of this magnificent, great nation under God. May you all have a blissful, peaceful Thanksgiving. The book I am featuring today is titled Shanti and the Magic Mandala, by F.T. Camargo. This book looks like a lot of fun, so pick up a copy right away! Shanti and the Magic Mandala is an adventure in which fantasy and reality are mingled. 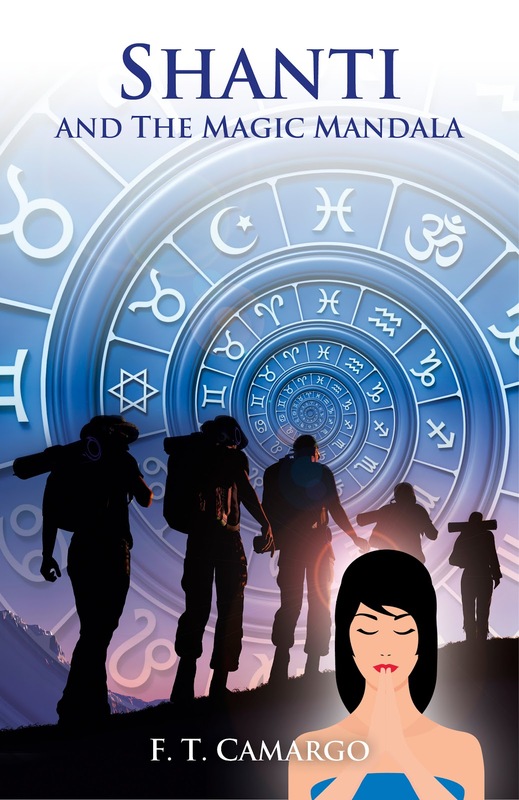 The book tells the story of six teenagers, from different religious and cultural origins and different parts of the world, who are mystically recruited to form two groups – one in the Northern Hemisphere, and one in the Southern. They eventually gather in Peru, and through a single alliance, begin a frantic chase for the sacred object that can stop the black magician’s final plan. “They did it. We’re stuck in here,” Helena said, coughing. “Wow! 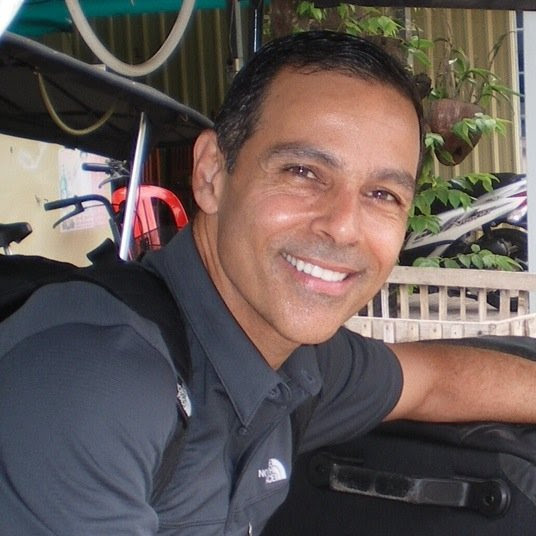 It’s a light vehicle, a merkaba!” Nasir said, reverently, his gaze locked on the intense white light of the forming shield. Winner of 2014 London Book Festival in the category “Young Adult”. Winner of 2015 New York Book Festival in the category “Young Adult”. LOUISVILLE, Miss. – In single strokes after the massacre of nine black churchgoers in Charleston in June, Confederate battle flags were taken from statehouse grounds in South Carolina and Alabama, pulled from shelves at major retailers like Walmart and declared unwelcome, if to limited effect, at Nascar races. But beyond these sporadic gestures, any organized effort was always going to wait until politicians were on the safe side of this year’s election. With the closing of the polls on Tuesday night, what could turn out to be the last battle over the Confederate flag in Mississippi has begun in earnest. In the immediate aftermath of Charleston, it seemed that such a coalition might be possible here. Several conservative political leaders called for a change, including the state’s two United States senators and the speaker of the Mississippi House (inspiring critics to print “Keep the Flag, Change the Speaker” yard signs). Down came flags at city buildings in Grenada, Magnolia, Starkville, Clarksdale and Yazoo City. In October, even the University of Mississippi lowered the flag at the circle where segregationists once clashed with federal troops over the admission of James Meredith. But the move to change the flag, which, in the words of the daughter of the state senator who designed it, was intended to “perpetuate in a legal and lasting way that dear battle flag under which so many of our people had so gloriously fought,” is not widely popular. It takes no time at all in any Mississippi downtown to find that out. Partisanship in Mississippi has become ever more racially polarized, and there are few topics on which racial division has been more explicit. 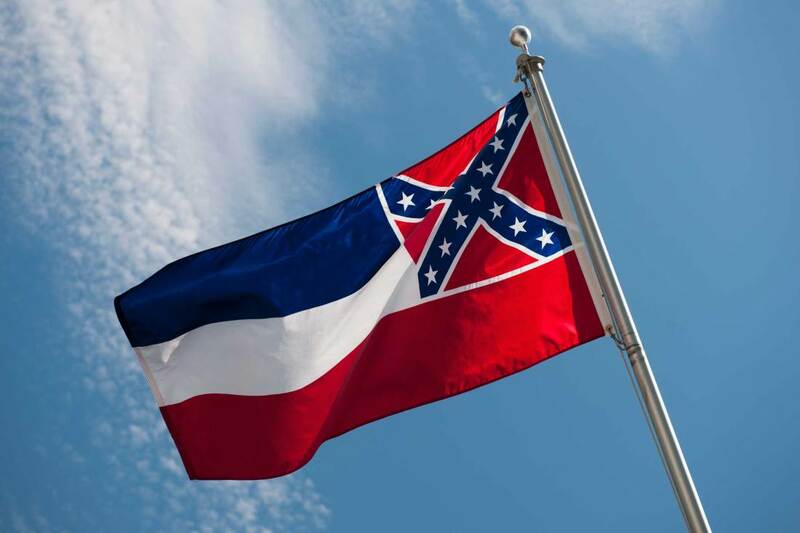 In the 2001 referendum, according to the book “Mississippi Politics: The Struggle for Power, 1976-2008,” 90 percent of whites voted to keep the flag as it is. Among blacks, 95 percent voted for a new design, which replaced the cross with a circle of white stars. “Don’t try to force me as a black man who knows his history to honor something that goes against my heritage,” said Robert Brown, a 42-year-old barber in Louisville, a small town in the central Mississippi pines with a population that is about 60 percent black. Over the summer, Mr. Brown began using his post at Eiland’s Straight Line Barbershop to expound upon the causes of the Civil War, lecturing to the men who had come in for a trim or a shave about slavery, the meaning of the battle flag and the offense of its lingering in the state flag. One evening in September, he went to City Hall to ask that officials follow the example of the other scattered towns and cities and vote on whether to fly the state flag. If a new flag is to be adopted, the simple math of a 60 percent white majority statewide dictates that it will come down to whether enough whites support it, either in the Legislature or at the polls. Feelings about the flag run so deep – as evident from the recent arrest of a man in Tupelo who was accused of firebombing a Walmart for not selling Confederate merchandise – that a widespread change of heart seems hard to fathom. At a Hardee’s a few blocks north of Louisville City Hall, older men talked over coffee of how “the blacks” tried to get the flag taken down at City Hall and the cemetery – one man drives by daily to make sure they are still flying – and how such crusades would be as doomed across the state as they were here. “Funds need to be cut off for that school,” he added of Ole Miss. Derrick Johnson, the president of the state conference of the N.A.A.C.P., said he would actively oppose a referendum, insisting that economic pressure was the only answer. “There’s never been a change in Mississippi when it comes to racial relations without pressure,” he said. “I think it’s going to take some more time,” he added. Time appears to be somewhat short. Gov. Phil Bryant, a Republican who won an overwhelming victory over token opposition on Tuesday, recently came out in support of putting the question on next year’s ballot. “I just think people are tired of hearing about this,” Mr. Box said. The Confederate Memorial Chapel near VMFA was built in 1887 by Confederate veterans. The annual InLight Richmond will transform the grounds of the Virginia Museum of Fine Arts next weekend. But perhaps the most electrifying reveal will be the wholesale transformation of the Confederate Memorial Chapel. The light and sound installation, happening Nov. 13 and 14, promises to put a twist on one of Richmond’s most divisive public-relations problems. The artists behind the exhibit, John Dombroski and Ander Mikalson, say they were inspired to probe the chapel’s socio-political significance. The contentious building, which has a side adjacent to Grove Avenue, has been a magnet for people devoted to waving the Confederate flag — which no longer is allowed to fly at the chapel. In June, the museum took control of the chapel’s lease from the Lee-Jackson Camp No. 1, Sons of Confederate Veterans. The artists plan to install several cinema-grade lights on tall stands to illuminate the exterior of the chapel. The interior will be illuminated solely by the light cast through the stained-glass windows. An array of shadows will form on the ceiling, walls and floor. There’s a sound component, too. The movements of visitors will be captured by a network of microphones installed on the floorboards, pews, doorways and walls — sounds the artists will amplify and reverberate throughout the space using delays and panning. “It’s more than just spectacle, it’s something to engage with,” says Emily Smith, executive director of 1708 Gallery, which organizes the event. What inspired When Our Worlds Collide? I guess the thing that I intrigued me was the fact that it’s not always about the happy ending. Sometimes, it just the story that is more important. Because if every girl who fell in love with a guy, got her feelings reciprocated and rode off into the sunset, it wouldn’t be real life. It would be a fairy tale. I did not want to write a fairy tale. I wanted to write a story that seems real, that people could relate to. When I first began to paint Zayn with words, he was not called Zayn. He was called Piyush. In a short story called, “The Walk” (which is up on my blog), Akriti and Piyush take an evening stroll through Gariahat, talking nineteen-to-the-dozen. But once I concluded that short story, I felt as though there was more to their story. They could not just be friends who met up, walked and talked. 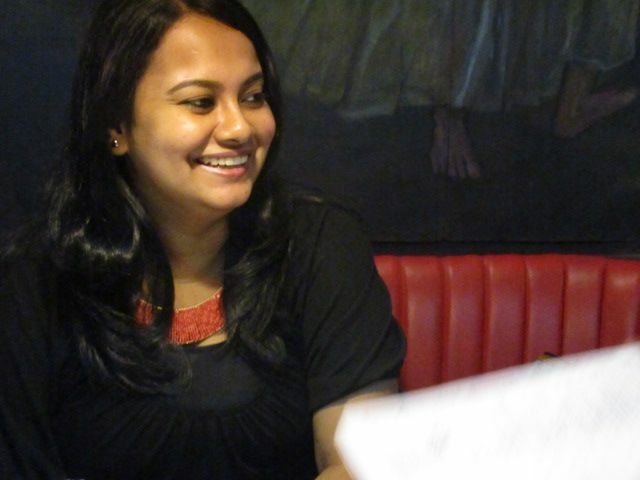 Akriti and Zayn’s story basically tests the limits of their friendship. I am sure people can relate to it. They would be able to relate to the drama, the fun and the heartbreak that accompanies crushing on your friend. After fleshing out the story a little, I decided to do something that I had never done in my earlier works. I decided to introduce characters from another work of fiction of mine in this story. The other novella would then act as a companion to this novella. So, that was a lot of fun. We will let you guess who those characters might be because we want readers to tell us who they want to read about next! A question that I am sure will be asked of me is if this story was based on real life. Well, I am always inspired by real life. In fact, sometimes I put people I know into my stories. One such example for this particular tale is Suzanna was inspired by Diptee di, and she picked out the name herself. 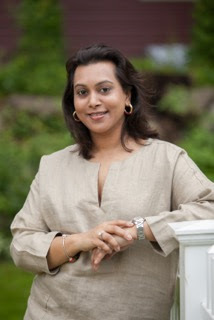 Although she named her character after the Suzanna from Ruskin Bond’s short story and novella, Susanna’s Seven Husbands. I just insisted on using a different spelling. As for who Akriti, Zayn and Ayoub are based on: well, some elements for Akriti were borrowed from some pretty women I know. Ayoub was a figment of my imagination, and Zayn had been based in part on someone that I used to know. But my imagination made him into someone I wanted him to be. Not the person that he really was. 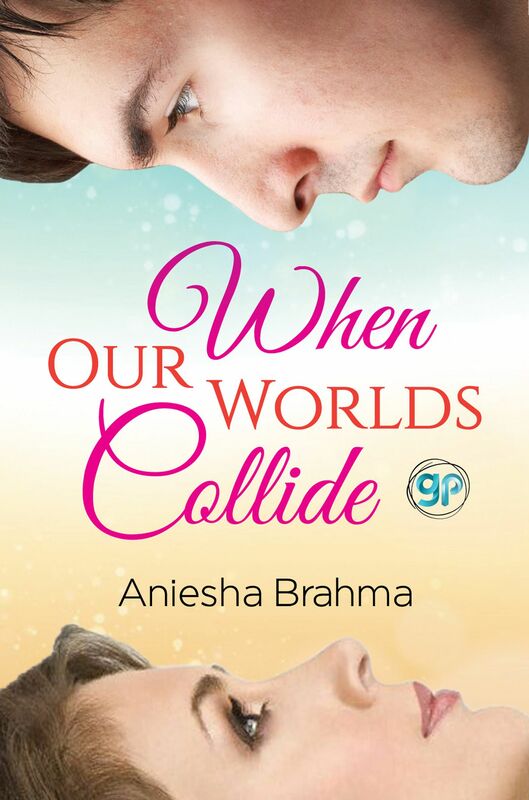 Coming back to When Our Worlds Collide, I was determined to tell the story of a mad crush and how it ends realistically in the story. Do they get their fairy tale happy ending or don’t they? You will just have to read the novella yourself to find out. The book should be available by November 2015. 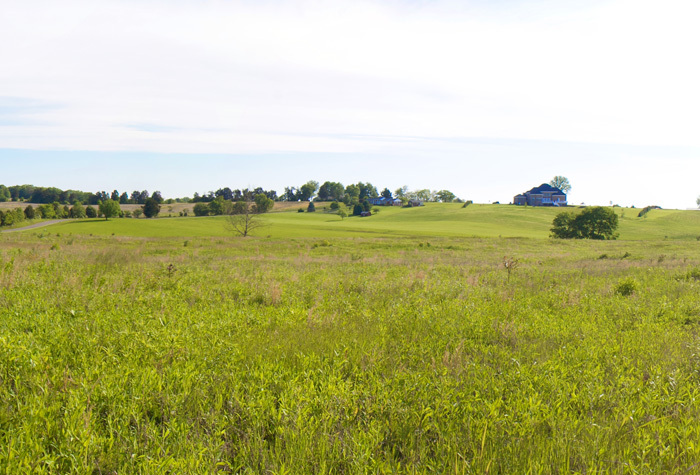 Recently, two separate Civil War battlefields received more protected ground due to the efforts of the Civil War Trust. One is the area known as Fleetwood Hill at Brandy Station, Virginia. During the course of the war, Brandy Station changed hands several times between Union and Confederate troops. It is also the site of the largest cavalry battle to ever happen in North America. This battle took place on June 9, 1863. Prior to the preservation, Fleetwood Hill was privately owned, and houses were built on it. But now, this 56-acre hill crest has been converted back to its original state, and appears the way it did 150 years ago. The second battlefield to attain protection is a plot of land known as the North Woods Tract at Antietam National Military Park. The Battle of Antietam (or Sharpsburg) took place on September 17, 1862. Although the battle was a draw, President Lincoln declared it a Union victory, and used it as a catapult to launch his Emancipation Proclamation. The Battle of Antietam was the bloodiest single day of battle that this country has ever seen. The Civil War Trust raised $300,000 in 45 days to acquire 1.2 acres of the North Woods Tract. These two victories are part of an ongoing process. Sadly, many battlefields and significant places are being destroyed. The Civil War Trust strives to preserve these national treasures. For more information, visit civilwar.org. 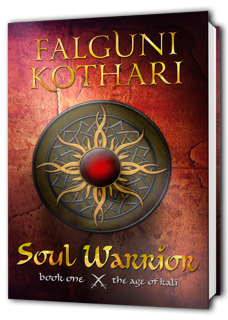 Today’s featured book is titled Soul Warrior by Falguni Kothari. This book looks like a fascinating read! Kyrie Carter can’t believe her luck when she wins a spot on a paranormal investigation with celebrity ghost hunter Drac Petery and his heartthrob brother Gabe. As the investigation begins, her main obstacles are her unsupportive teammates and her lack of ghost hunting experience. Her biggest critic is the ruggedly handsome but enigmatic Spook Steele, who takes an instant and intense dislike to the newbie and seems determined to see her fail. However, Kyr soon realizes that her flesh-and-blood rivals are the least of her worries. The investigation takes a dark turn when the team finds evidence of a decades-old murder mystery, and Kyr becomes the victim of the resident spirit’s violent attacks. The discovery of a family connection to the Berkeleys explains the spirit’s malevolence. 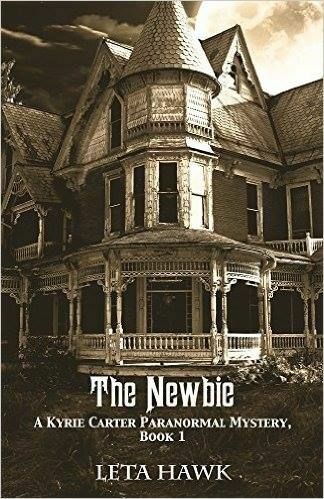 Will Kyr be able to help the Peterys unravel the mystery and put the Berkeley mansion spirits to rest, or will she become another victim of the house’s tragic history? And will she be able to sort out her romantic feelings for the off-limits Gabe and her growing but unwelcome attraction to Spook Steele? In Book 2 of Leta Hawk’s Kyrie Carter Paranormal Mystery series, a paranormal investigation on the campus of Willow Lake College leads to the discovery of a decades-old murder mystery. 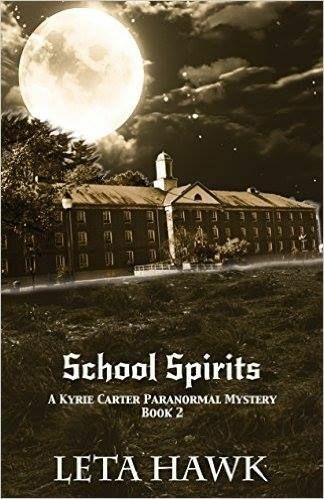 Kyrie Carter is thrilled to accompany her best friend JoEllyn to their alma mater, Willow Lake College, for a ghost hunt with the campus Paranormal Club. She is pleasantly surprised when celebrity ghost hunters Drac and Gabe Petery show up with their team. She is not so pleasantly surprised when her critical former teammate Spook Steele shows up with them. What begins as a routine investigation into campus ghost stories soon turns dangerous as Kyr encounters a malicious spirit in the bell tower of Appleton Hall. Upon further investigation, the team learns that a suspicious fire had claimed the life of a female student in 1958. After Spook becomes a victim of a similar fire in the bell tower while investigating, he and Kyr begin to suspect they are dealing with more than a simple haunting. Kyr and Spook put aside their differences and team up to piece together what happened in the bell tower. The mystery deepens as they discover that everyone—townspeople and campus administrators alike—seem determined to keep the truth hidden about the events of that night. What’s Wrong With Ole Miss? (1) The flag of the State of Mississippi and the flag of the United States shall be displayed in close proximity to the school building at all times during the hours of daylight when the school is in session when the weather will permit without damage to the flag. It shall be the duty of the board of trustees of the school district to provide for the flags and their display. (2) Whenever the flag of the United States is to be flown at half-staff by order or instructions of the President or pursuant to federal law, all public schools shall lower the United States flag in accordance with the executive order or instructions or federal law. The school shall announce the reason that the flag is being flown at half-staff to all students in assembly or by teachers in the various classrooms or by prominently displaying written notice throughout the school stating the reason that the flag has been lowered. (3) In all public schools there shall be given a course of study concerning the flag of the United States and the flag of the State of Mississippi. The course of study shall include the history of each flag and what they represent and the proper respect therefor. There also shall be taught in the public schools the duties and obligations of citizenship, patriotism, Americanism and respect for and obedience to law. Although there might have been minor changes made, the code is basically the same.